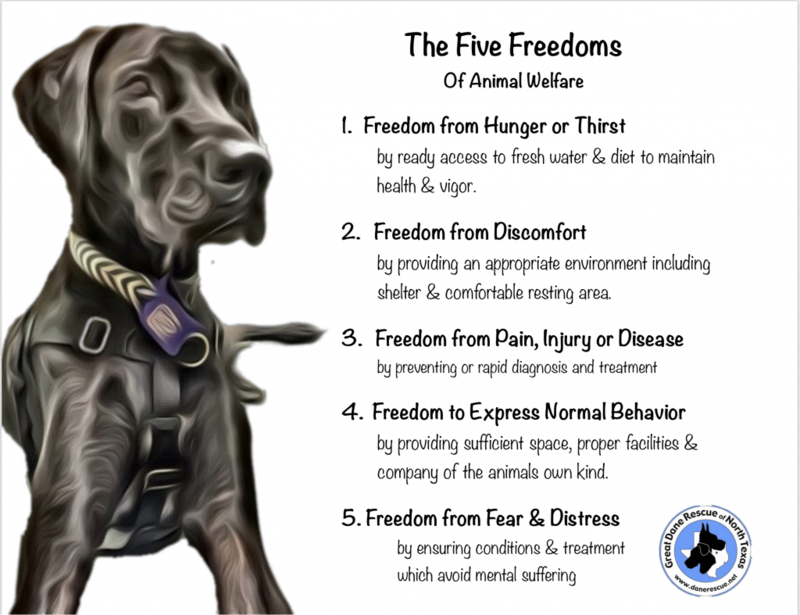 The Five Freedoms apply to every type of animal in every type of setting, including shelters, rescues and even private homes. Furthermore, they apply to working animals and animals being processed for slaughter. If the Five Freedoms are not being received by each and every animal, reform is needed.